You also should know how to use the names of the layers when discussing other networking models. An example definitely helps make sense of this concept. In Figure 2-9, you see the OSI model, the TCP/IP model, and a third figure with some sample TCP/IP protocols shown at their respective layers. As shown in the figure, the layers in the TCP/IP model correlate to particular layers in the OSI model. 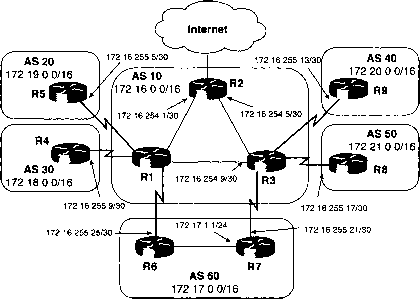 For instance, the TCP/IP internetwork layer corresponds to the OSI network layer. Why? Well, the OSI network layer defines logical addressing and routing, as does the TCP/IP internetwork layer. So, IP is called a network layer, or Layer 3, protocol. Similarly, the TCP/IP transport layer defines many functions, including error recovery, as does the OSI transport layer—so TCP is called a transport layer, or Layer 4, protocol. Not all TCP/IP layers correspond to a single OSI layer. For instance, the TCP/IP network interface layer defines both the physical network specifications and the protocols used to control the physical network. OSI separates the physical network specifications into the physical layer and the control functions into the data link layer. Ethernet includes functions defined by OSI Layers 1 and 2. So, depending on the context, you can refer to Ethernet as a Layer 1 or Layer 2 protocol. The final OSI terms covered here all use the base term protocol data unit, or PDU. A PDU represents the bits that include the headers and trailers for that layer, as well as the encapsulated data. For instance, an IP packet, as shown in Figure 2-7, is a protocol data unit. In fact, an IP packet is a Layer 3 PDU because IP is a Layer 3 protocol. The term L3PDU is a shorter version of the phrase Layer 3 PDU. Figure 2-10 represents the typical encapsulation process, this time for the OSI model, with the terms used for the PDUs listed at each layer.